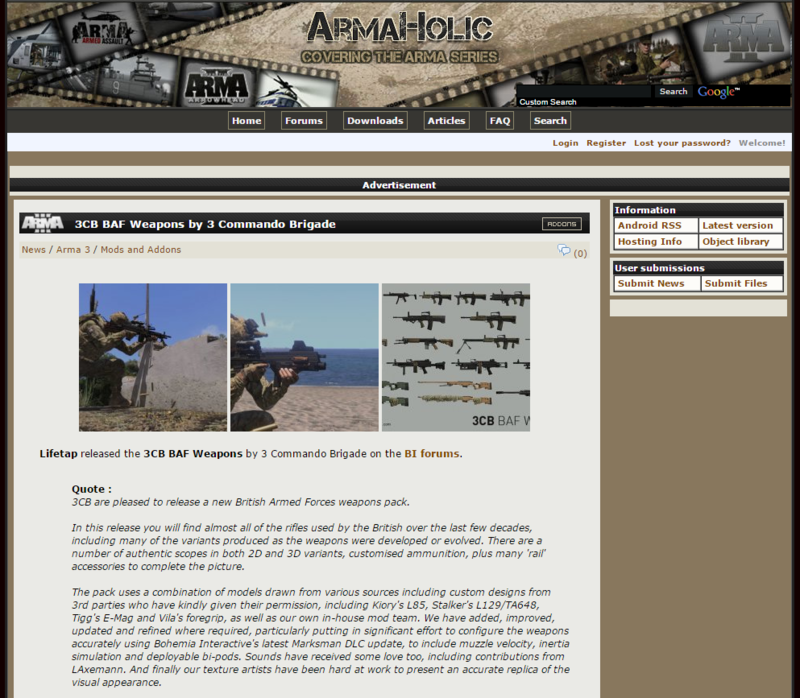 It is with great pride I'm pleased to announce the launch of our 3CB Weapons pack. 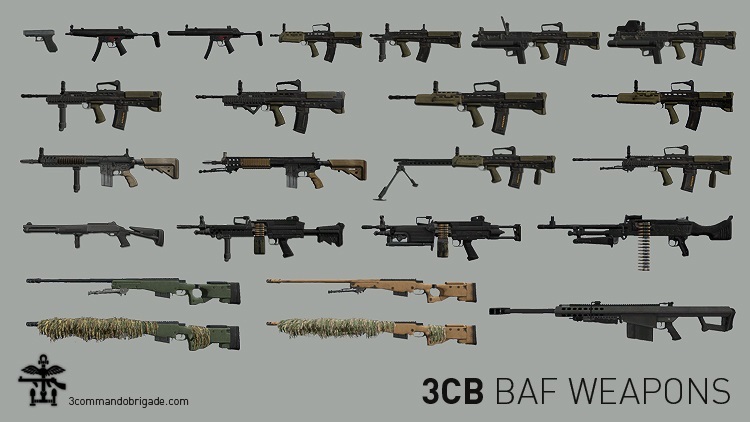 This new weapons mod pack - has taken literally hundreds of hours work from a team of people working on research, scoping, modeling, configs and testing. As soon as it is uploaded to PW6 I'll update this with links for everyone. Can someone please put a pic of a ban hammer up for cupcake. I can't as I'm on my phone. Excellent work you guys, congratulations. OMG I LVOE YOU SO MUCH!! the sounds the minime and gpmg make are orgasmic! !